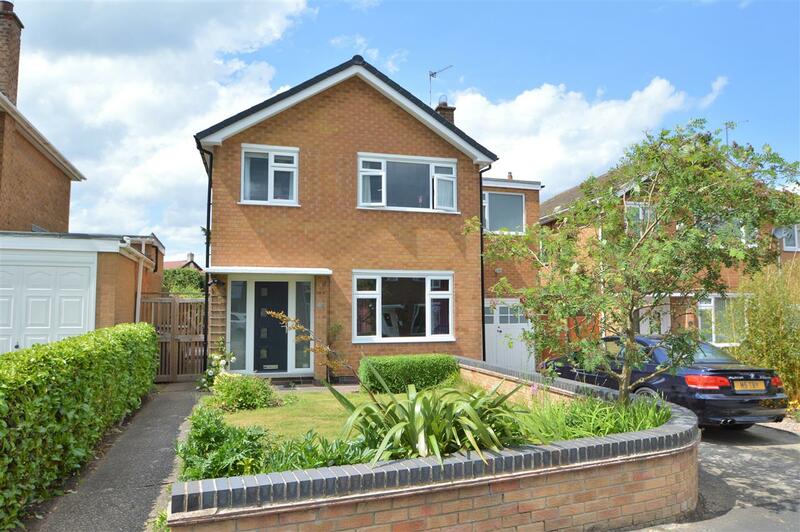 Benjamins are delighted to welcome to the market this excellent opportunity to acquire a spacious 4 bedroom detached home, situated in the popular village location of Keyworth with great schools, local amenities and public transport. Benefiting from double glazing the property briefly comprises; entrance hallway, living room, open plan kitchen area, dining room, with separate utility, conservatory and internal garage. To the first floor there are four bedrooms, family bathroom & en-suite to master bedroom. The property comprised of garden to the front and rear aspect. Early viewing is essential. Double glazed window, radiator, wall mounted lighting, feature coal fireplace, radiator, cable TV points. Base and wall units with work surfaces incorporating, stainless steel sink unit with mixer tap, range cooker and hob, cooker hood, integrated dishwasher & fridge, tiled flooring, storage cupboard, access to garden via conservatory. Built in storage unit and wall units, double glazed windows to the rear elevation, double glazed door to the rear, radiator, downstairs w.c, plumbing for white goods. With radiator and window to the front aspect. fitted wardrobes & wall lights. Fitted wardrobe & built in shelves, radiator and window to the rear aspect. Built in cupboard, radiator and window to the rear aspect. with up and over double door, shelving, power and light.